Graphite (dark gray). Crew neckline. Shot sleeves. 70% wool, 30% silk. Imported. 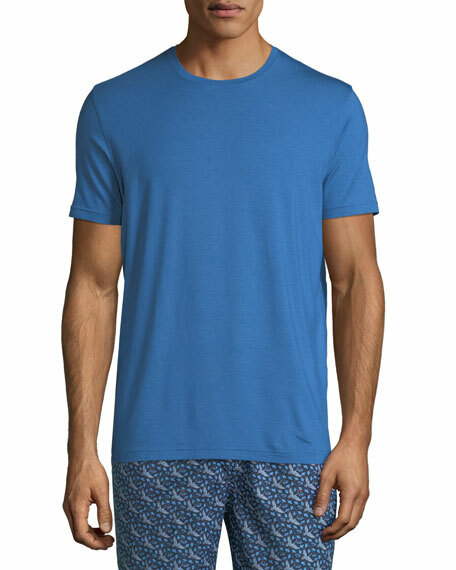 Hanro classic essential T-shirt from the Cotton Pure Collection. 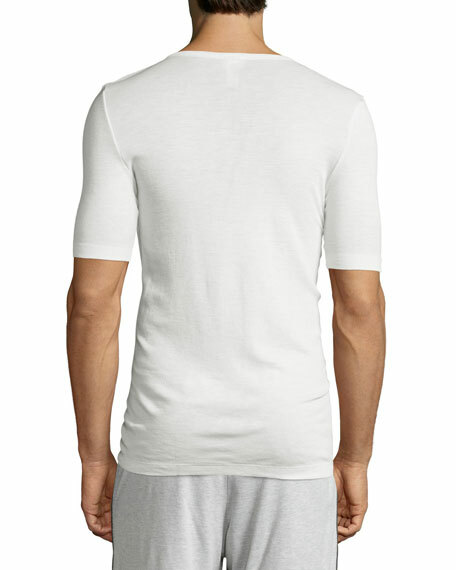 Made of mercerized cotton that has been specially treated for softness and durability. V neckline. Short sleeves. Pullover style. Even hem. Imported. Helmut Lang oversized T-Shirt. Crew neckline. Short sleeves with rolled cuffs. Uneven, vented sides. Pullover style. Cotton. Imported of Italian material.